Some of the lawmakers raised their hands, and as Hahn tried to ask a question of those who did not, Labrador interrupted. “I don’t answer questions from you because you are not a truthful reporter and I will not answer any of your questions. So let’s move on to somebody else,” Labrador said. Breitbart chairman Stephen K. Bannon said Labrador is the liar. 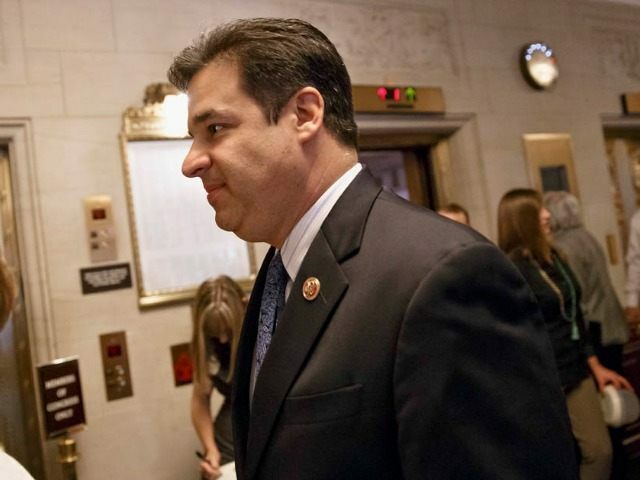 “Congressman Labrador has spent too much time in Washington if he thinks its okay to try and intimidate a 24 year-old woman who asked a basic question. He called her a liar and tried to humiliate her in a public forum in the Capitol, when in fact HE is the liar! Breitbart News will not back down and we stand by Julia’s reporting 120%,” he said. Breitbart editor-in-chief Alexander Marlow reiterated Bannon’s comments and suggested an upcoming story will reveal more about Labrador. “Either Congressman Labrador is uninformed and didn’t read our story or he flat-out lied. He attempted to embarrass our reporter while insulting our largely grassroots conservative audience of over 20 million readers, and he was dead wrong on the facts. If the Congressman is interested in the truth, we invite him to read the story that’s about to be posted laying out the facts in a painfully clear way,” Marlow said.